About an hour south of Rapid City lies Hot Springs, South Dakota. But there’s a darker side to the naturally occurring warm water around which the town is based. In fact, during the last Ice Age, the creatures that lived around Hot Springs were continually stalked – by a serial killer! One of the killer’s many victims. 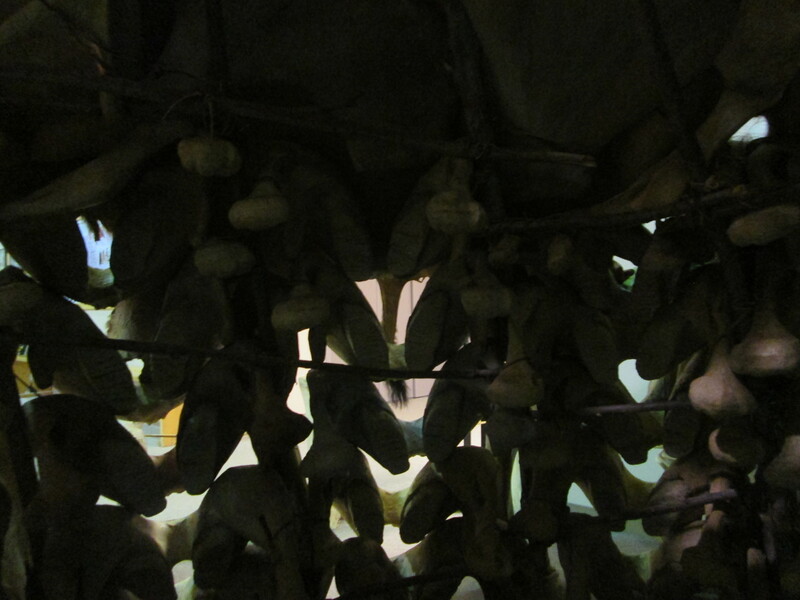 Yes, indeed, the scene at Hot Springs is the stuff of which horror movies are made. It was only in the last century that evidence of this monster, which, astonishingly, continued to murder its victims over a period of seven hundred years, was finally uncovered. As there can be no statute of limitations on such a series of heinous crimes, archaeologists are working around the clock to catalogue the remains of perhaps hundreds of victims of this deadly killer. Who could have done such a thing? What unholy terror could have repeatedly destroyed – and with apparent impunity – such terrific and powerful beasts? 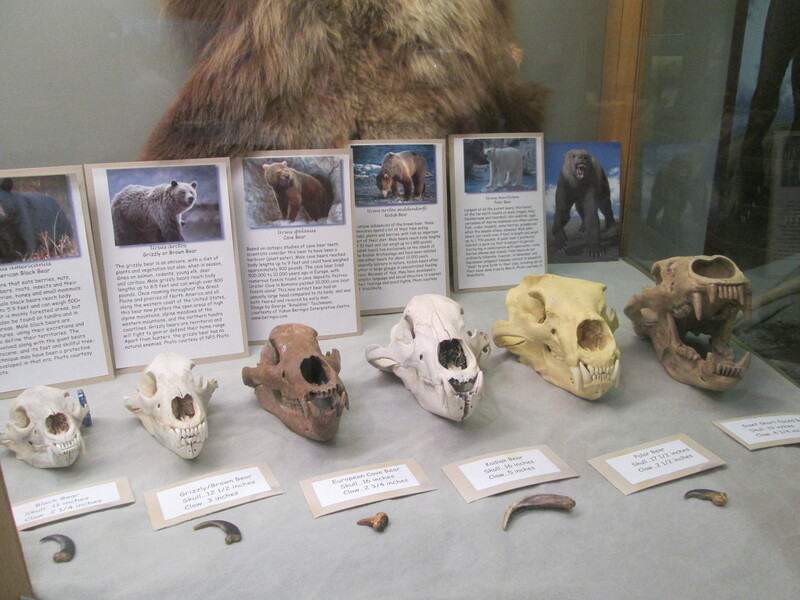 For you see, the primary victims of this diabolical criminal were not flightless birds, or helpless little mammals, but some of the largest land creatures known during the last Ice Age – the mammoths! 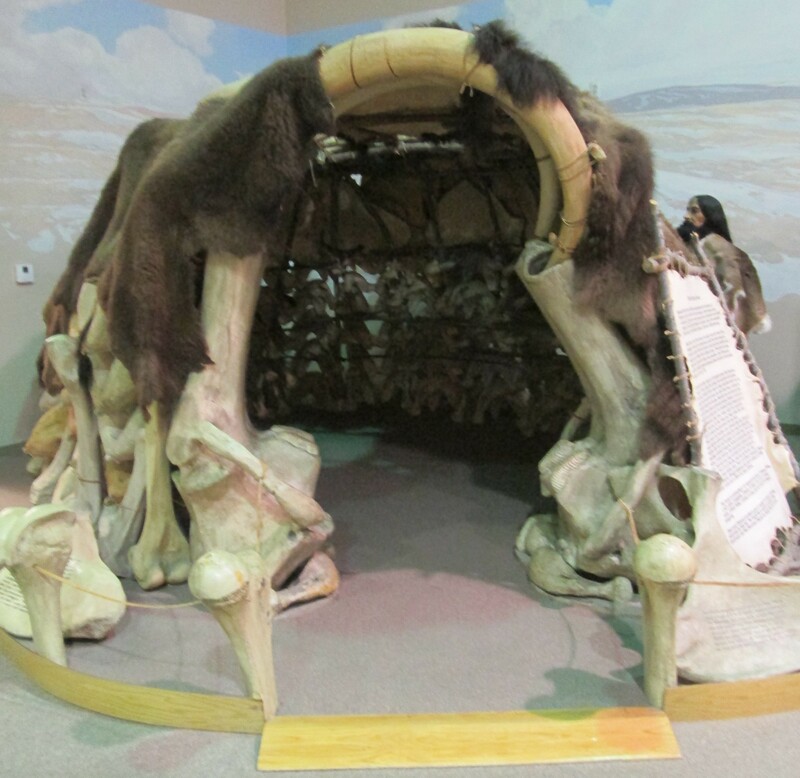 The better-known woolly mammoth paled in size compared to the much larger Columbian mammoth. I am relieved to report that the murderer of these majestic creatures has at last been identified. This hardened criminal will escape punishment, I fear, as it, too, has long since been buried. 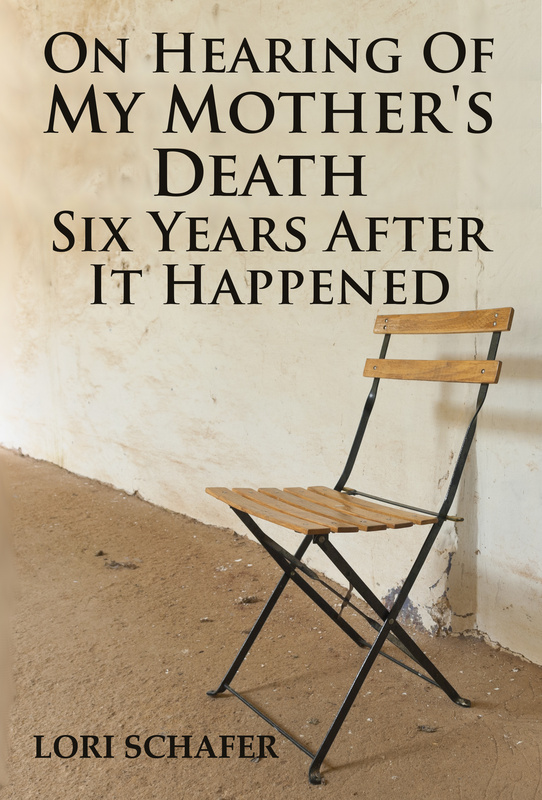 But the evidence of its crimes lingers, and the whole sad story may finally be told. It appears that some twenty-six thousand years ago, when mammoths were still plentiful on the North American continent, a sinkhole developed in the region, much like this one that was used for the Vore Buffalo Jump. 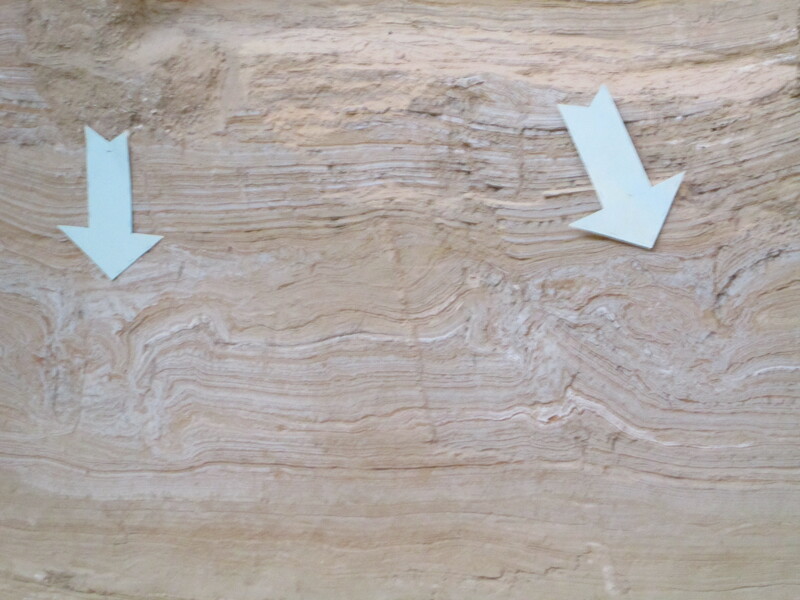 However, in Hot Springs, the force of the collapse caused the hole to tap into a warm artesian well, which in turn caused grass to grow in the area year-round, even in winter. 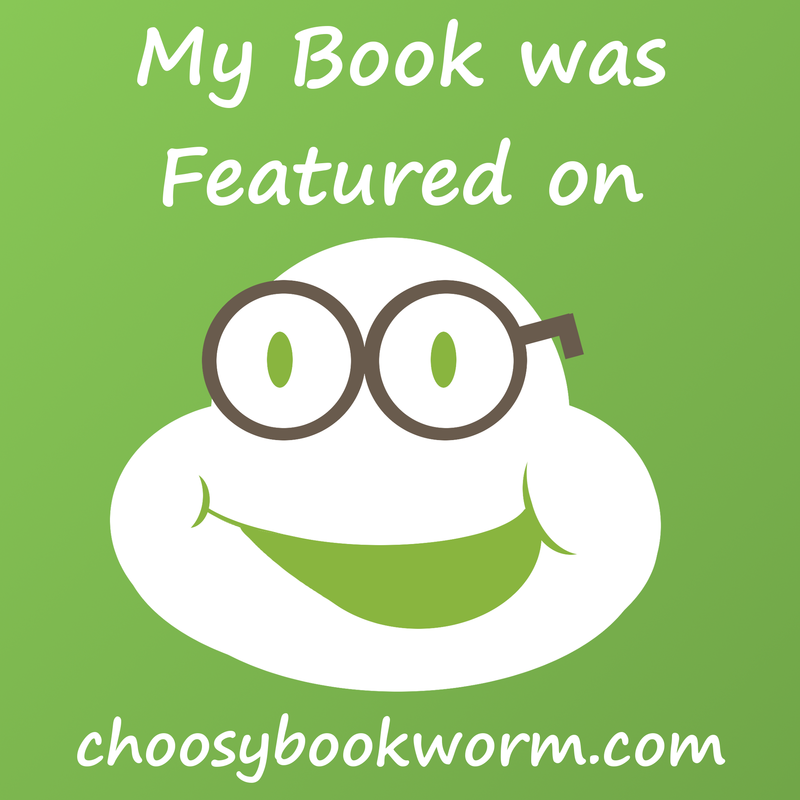 When food was scarce, mammoths would be naturally attracted to the site. They would snack on the grass, then perhaps climb down the sides of the sinkhole for a sip of water. Once inside, their flat feet would be unable to gain traction on the slippery sides of the sinkhole, and they would become trapped inside, floundering about helplessly until they either drowned or starved. Mammoth footprints. Surprisingly, they don’t make much of a mark. Comparatively few remains of smaller mammals have been found at the site, likely because animals with claws rather than hooves were better able to scramble out of the sinkhole. 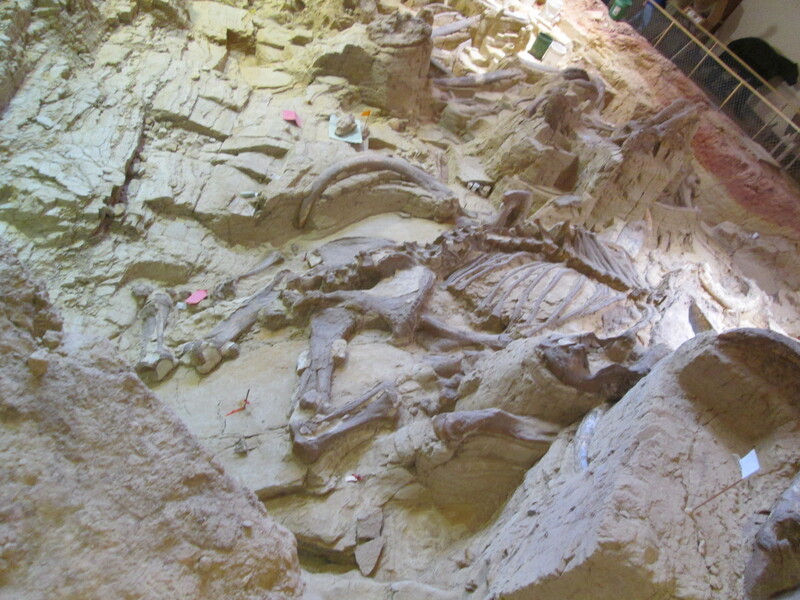 Thus, unlike at Dinosaur National Monument, the tragedy at the Mammoth Site was not mainly the result of a single event, such as a drought, but rather a series of accidents, likely all nearly identical in form. 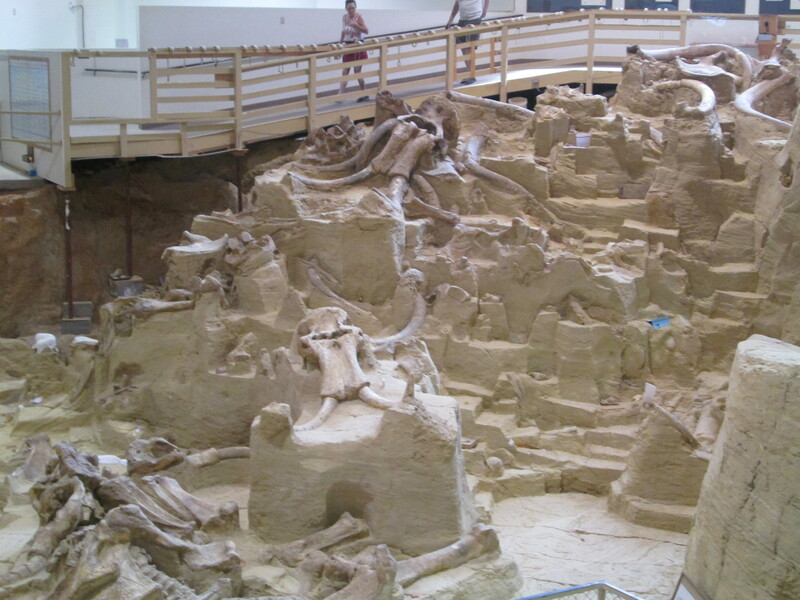 It is worthy of note that every one of the many skeletons that has been uncovered at Mammoth came from a juvenile male. 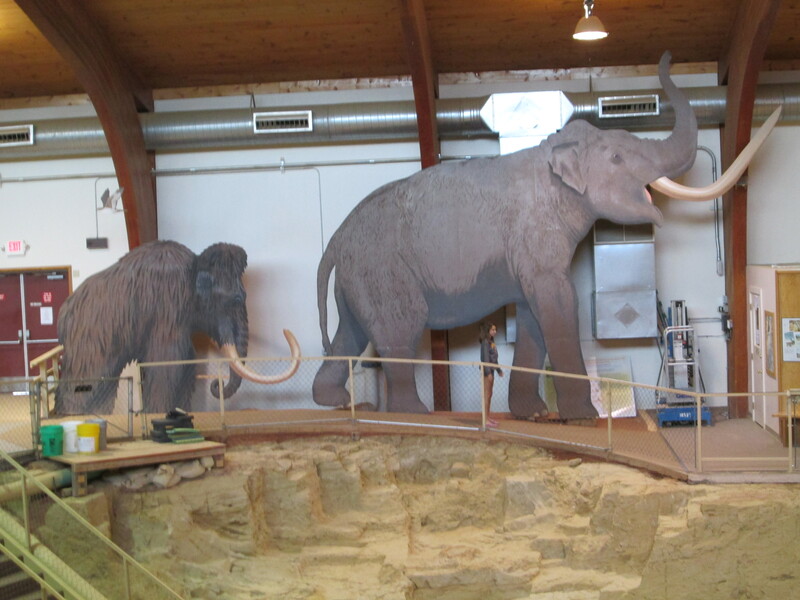 Knowing what we do about modern-day elephant societies, which are matriarchal, these were likely young elephants which were banished from their herds and went off on their own, and therefore had no wiser, more experienced mammoths to warn them against the dangers of the sinkhole. In addition, these lonesome individuals, being outcasts, probably traveled further afield than the others did in their search for food. After about seven hundred years, the sinkhole had filled in to such an extent that it evidently no longer posed a hazard for mammoths and other local creatures. 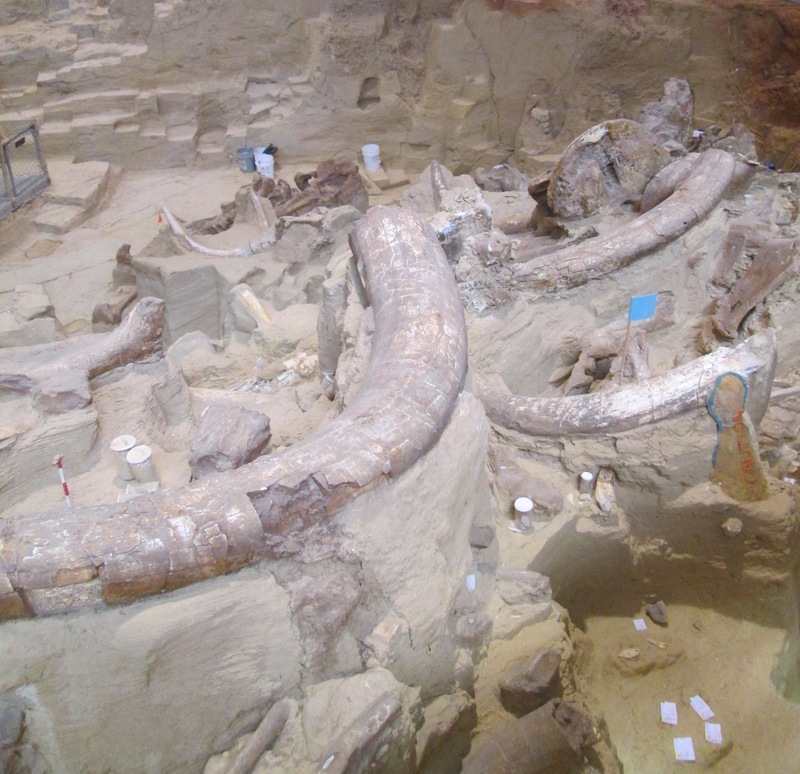 The mammoth tragedy, however unhappy it was for its victims, has resulted in a truly spectacular archaeological find. Nearly all of the bones have been left in situ, which means they still lie virtually as they were found. 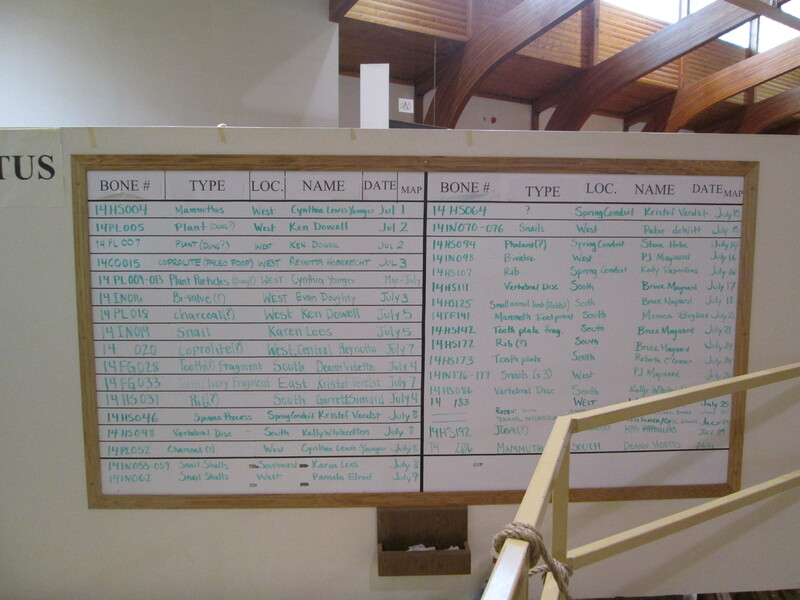 Indeed, the site is an active archaeological dig; you can see on the board the new bones that have been uncovered during the current season alone. You can see, too, that the bones at this site are much easier to pick out from among the dirt and rocks than those at Dinosaur, and this is because these bones have not fossilized. They are evidently not old enough for the bone to have been replaced by harder minerals, leaving mere casts of where the remains once were. Instead, we see here the original bones, which, visually, have a markedly different texture from fossilized bones, which resemble rock. Mammoth tusks. I don’t care how well-preserved they are; I’m not licking one! According to our tour guide, if you’re in doubt, you can also identify a bone by licking it; if you’re tongue sticks, it’s bone. I confess that that little tidbit rather put me off the idea of pursuing a sixth career as an archaeologist. 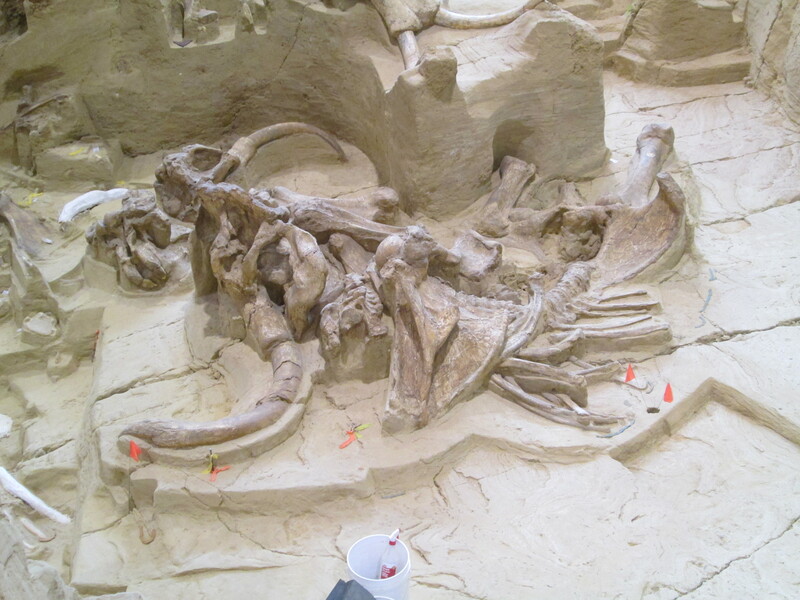 Now, as at Dinosaur, this incredible find was made possible by mountain building forces in the region, namely the uplifting of the Black Hills, which brought the rock layer containing the mammoth skeletons closer to the surface. The remains were found, as these kinds of things often are, during excavation for a new building. It makes you wonder how many more such sites lie beneath the surface, especially in these rural mountainous regions, just awaiting discovery. And, as at Dinosaur, the nature of the tragedy that befell these creatures created a set of conditions in which large numbers of skeletons would be found in one location. 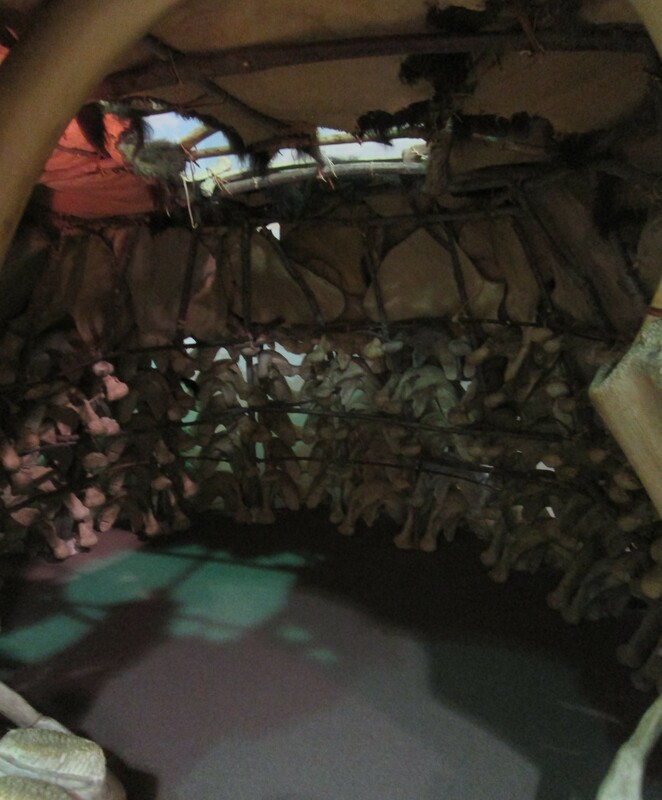 Unlike at Dinosaur, however, there was no river or flooding to jumble up the remains of the creatures that died, which means that many of the skeletons have been found largely intact, as is very apparent when you examine the uncovered bones. 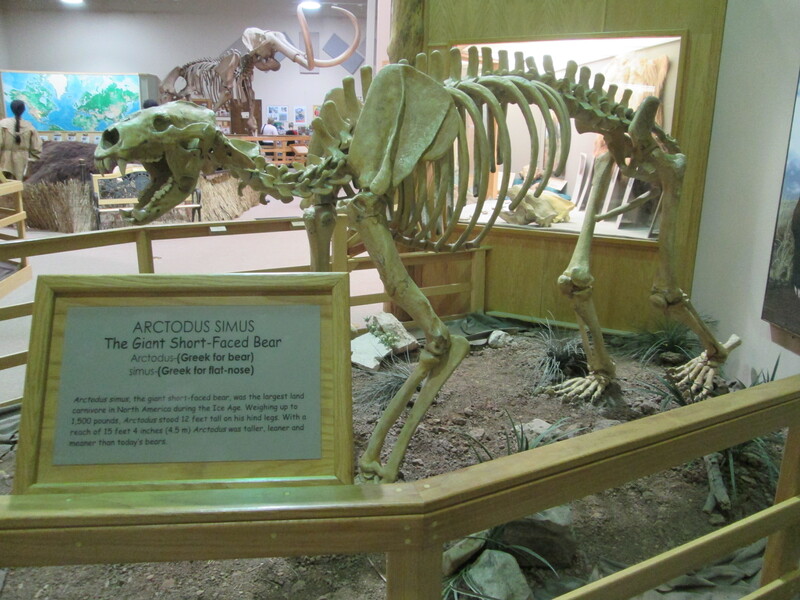 Be sure to return for Nightmare in Hot Springs II: Death Springs Eternal, in which we conclude the story of the killer at Mammoth by examining one of its other unwitting and now-extinct victims – the giant short-faced bear! 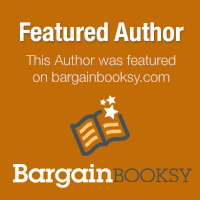 This entry was posted in Travel and tagged books, Hot Springs, landscapes, Mammoth Site, memoir, reading, road, road trip, roadtrip, South Dakota, The Long Road Home, travel, United States of America (Country) on September 5, 2014 by lorilschafer.